We will be closed Thanksgiving, Christmas Eve, Christmas, and New Year’s Day. Click the View Dinner Menu button above to view and print a copy of our menu. 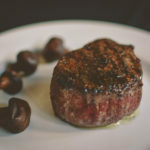 We offer a fine selection of Premium-Cut Steaks, including our Signature House Filet Mignon, which will melt in your mouth! 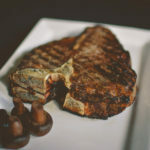 We also have a Beautifully Marbled Ribeye, and our Famous Baby Back Ribs by the Half or Full Rack. 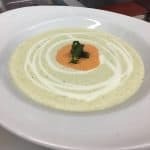 Our entrees are served with Oven-Fresh Bread, our House Salad, and your choice of Potato. Not sure what steak you want? Learn about different cuts of steak here! 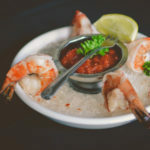 For seafood lovers in the Richfield area, we serve our Hand-Breaded and Deep-Fried Gulf Shrimp, and Single or Twin-Tail South African Cold-Water Lobster Tail, offered at current market price. We also offer our Sesame-Crusted Ahi Tuna, accompanied with an Edamame and Napa Cabbage Slaw, Spicy Tomato Jam and Wasabi Ginger-Soy Dressing as an Appetizer. 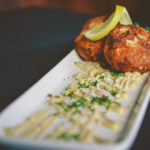 On Fridays and Saturdays, we offer lovely fresh fish dinners such as trout, halibut, sea bass, grouper, and corvina and showcase local fisheries located in Wisconsin. 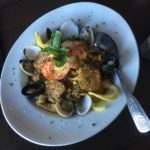 Stop in and try any one of our delicious seafood entrees today! 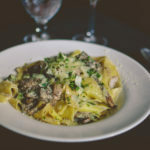 For dinner, our expanded menu includes Italian Specialties, such as our wonderful Steak and Portabella Pappardelle, our Fresh-Made Rosa Linguine, and Classic Lasagna, just to name a few of our nightly offerings. 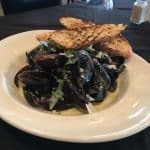 Take a short ride just north of Germantown for the best Italian dining in Wisconsin! 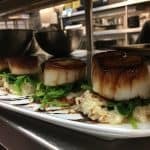 In addition to our listed menu items, Johnny Manhattan’s offers Hand-Made Burgers and Fantastic Hand-Crafted Pizzas that the whole family will enjoy. 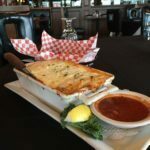 Have a look at our menu, and call us at 262-628-7700 to make your reservation with us today! Bring the whole family in for a great dining experience at Johnny Manhattan’s. 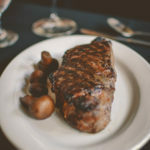 We are just 20 minutes northwest of Milwaukee, and proudly serve the Best Steaks and Chops in the Greater Milwaukee area, Waukesha and Washington County areas such as Richfield, Germantown, Sussex, Hartford, Slinger, Jackson, and Menomonee Falls!